On Tuesday night, the Lakers defense sucked worse than Kobe Bryant thinks his game is right now. Kenneth Faried and JJ Hickson combined to shoot 18 of 22 and the Lakers gave up 30+ points in every quarter with the exception of the 4th (27). 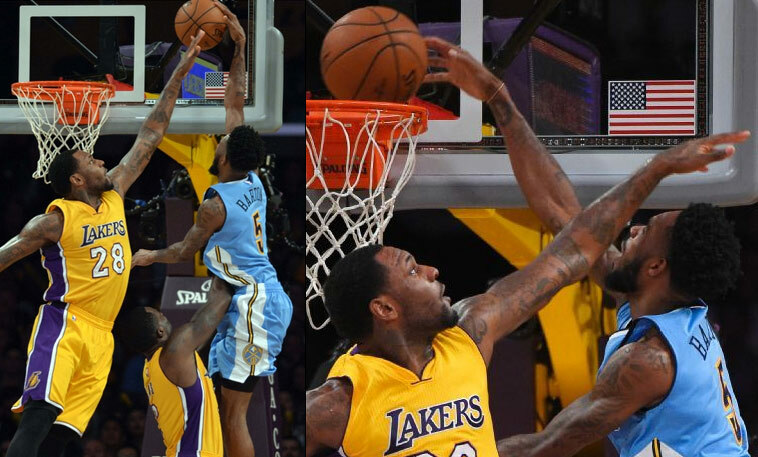 What they did allow in the 4th was for Will “Thrill” Barton to destroy their defense on a play by blowing past 2 Lakers (including Kobe) and dunking on another 2. Barton finished with 10 points off the bench.